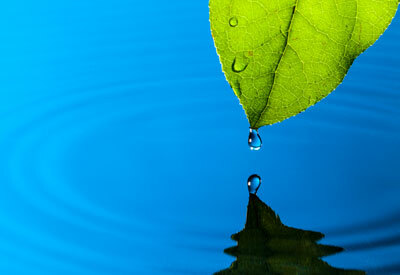 Don’t make water efficiency another program- work it into your organization’s culture. Read through the following steps and use them to develop success at water conservation at your facility. Conduct a water audit to measure water use in different areas of your facility. Often the water use of specific operations is not known. Develop a plan to deal with large or inefficient uses. It should be a simple, step-by-step guide outlining your specific goals and strategies. Implement a water conservation emphasis at your facility to educate and engage employees in water conservation. Employees may need to be shown how to use water efficiently and training should include information in on current water uses, water costs, and improvement strategies and brainstorming. Creating incentives for employees may help motivate them to identify ways to reduce water use. Getting commitment from staff is essential to water reduction success.To maintain momentum, gain management support and commitment. Showing short payback periods can help prove water efficiency is a sound investment to quickly gain long-term savings. Twin Cities metro area impending sewer availability charge (SAC) fees should put water conservation in the fast lane. Review comprehensive water-focused technical publications like WaterSense at Work and Lean and Water Toolkit , developed by the US Environmental Protection Agency (EPA). These documents contain information on commercial and industrial process areas where water savings can most likely be realized. , including water conservation guidelines for specific water uses and case studies of businesses and institutions with successful water conservation programs. Now that you have started on your journey to conserve water at your facility, you may want to take a look at strategies that can help you obtain your goal. The following tips and strategies were developed to help you understand water conservation in your facility. For more detailed information about and examples of these strategies, see MnTAP’s fact sheet, Water Conservation Tips. To establish a baseline in your facility, monitor water use; From that information, identify areas where water use can be reduced, keeping in mind that water use may differ between shifts. If feasible, you may want to install flow sub-meters to measure high-flow processes, which can quickly help to establish a baseline that can be used to measure the impact of improvements. Water leaks in your system can cost significant money. You can prevent unnecessary water loss at your facility by finding and repairing all leaks and developing a preventive maintenance program. Part of this program should be to make a checklist of all potential sources of leaks and conduct weekly inspections of equipment. Before using wet cleaning methods, dry clean as much as possible to recover excess product and by-products. When you do use wet cleanup methods, high-pressure at a lower-volume can help you cut the amount of cleaning water at your facility. Automatic shutoff nozzles can reduce water use by preventing water flow when it is not needed. Also, you can optimize the fitting sizes of nozzles to reduce flow rates, and increase pressure if necessary.Use the smallest nozzle needed to maximize efficiency. Additionally, using control valves will stop water flow when production stops. Reusing water is using wastewater or reclaimed water from one application for use in another. Recycling water is when it is used again in the original application. Before reusing or recycling water, be sure it meets the water quality requirements for the process, and identify any treatment steps that may be needed. Non-contact cooling water is ideal for water reuse if process demands match supply. Read the Water Reuse Fact Sheet to learn more about water reuse options. A May 2016 metro Water Reuse Workshop brought together over 120 professionals from all sectors involved with reuse to discuss barriers and identify solutions. The resulting Water Reuse Workshop Proceedings Report contains summaries of the presentations, recommendations, and case study descriptions. Water is typically used to cool heat-generating equipment or to condense gases. Recycling water with a recirculating cooling system can greatly reduce your water use. MnTAP’s Non-contact Cooling Water fact sheet provides information on opportunities to recirculate cooling water through your facility. Rinsing products and equipment with deionized water is common for removing contaminants. The amount of deionized water can often be cut without affecting product quality by switching from a continuous-flow to an intermittent-flow system. Consider reusing deionized water because it is often more pure than municipal water even after its initial use. A clean-in-place (CIP) system can eliminate the need to dismantle equipment for cleaning and can help carefully control water and chemical use at your facility. Fully automated CIPs are more consistent and typically more effective than manual CIPs. Additionally, you can often use final CIP rinses as the pre-rinse for the next cleaning cycle. For more detailed information about these strategies and examples, see MnTAP’s fact sheet, Water Conservation Tips.